Have you heard the saying about not inheriting the Earth from our ancestors, but borrowing it from our children? Nothing could be more true of music. Music Education in our country is in crisis, school music programs are being cut left and right, and many of the specialized art forms that could light young peoples' fire are simply not available to them. But here at Lakeside A cappella Camp, you can be a part of the solution! We're not looking for babysitters - we're looking for enthusiastic, passionate, musical adults to make a difference in the lives of young people! Whether you are an "old pro" at the barbershop art form, a long-time singer new to the genre and simply want to learn more, or a music educator interested in how barbershop can benefit your program, serving on our staff as a chaperone is a great way to learn, give back, and help young people uncover their love of singing 4-part a cappella music! You must be at least 25 years of age or currently working as a full or part-time music educator to apply. 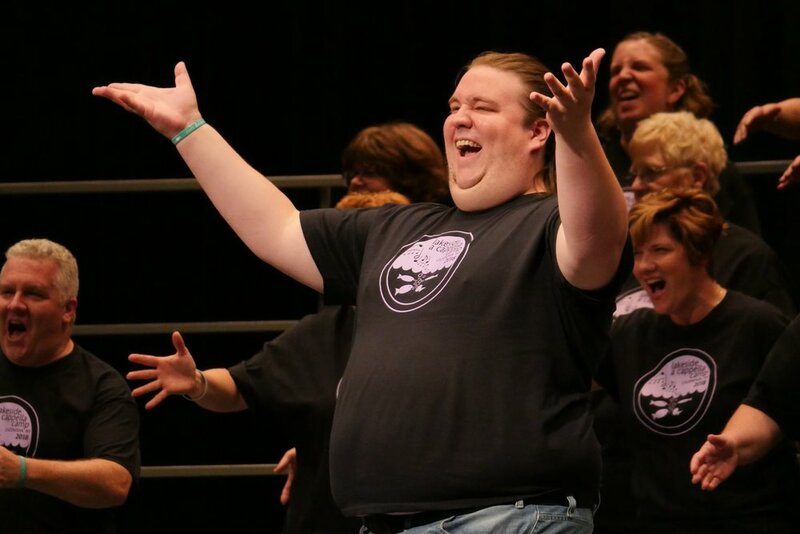 Spend three days sharing your love of singing with the next generation and learn how to bring that momentum home with you to help young people and music educators in your area! Learn about resources for implementing youth program through Sweet Adelines, International, Harmony, Inc., and the Barbershop Harmony Society, how to help music programs and teachers in your area, how to best utilize the young women in your singing group, and how to ensure music education survives for years to come. You’ll learn from real-live young people, music educators, and adult barbershoppers whose lives have been transformed by their time spent with the next generation of singers. -A transformative experience that will forever change the way you look at sharing music with young people! Cost - $150.00 (includes room and board, including all meals, Camp t-shirt, show ticket, and all resources).